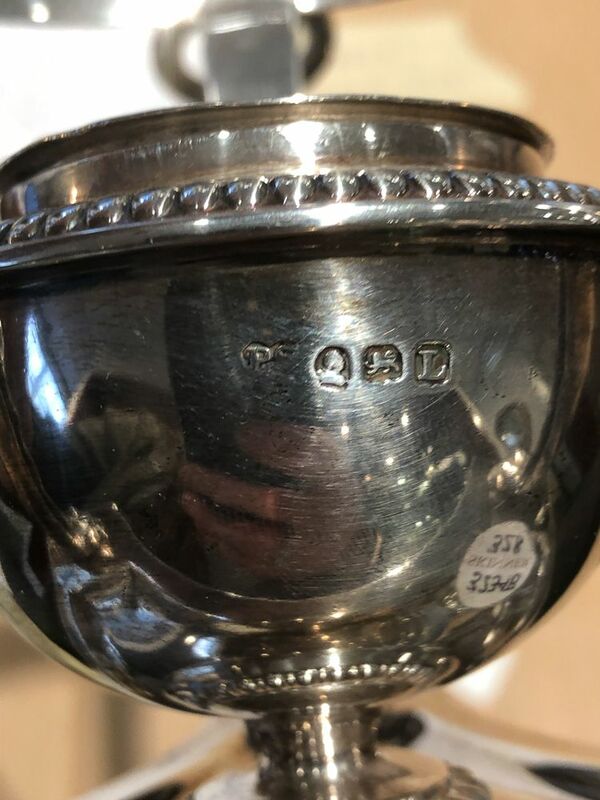 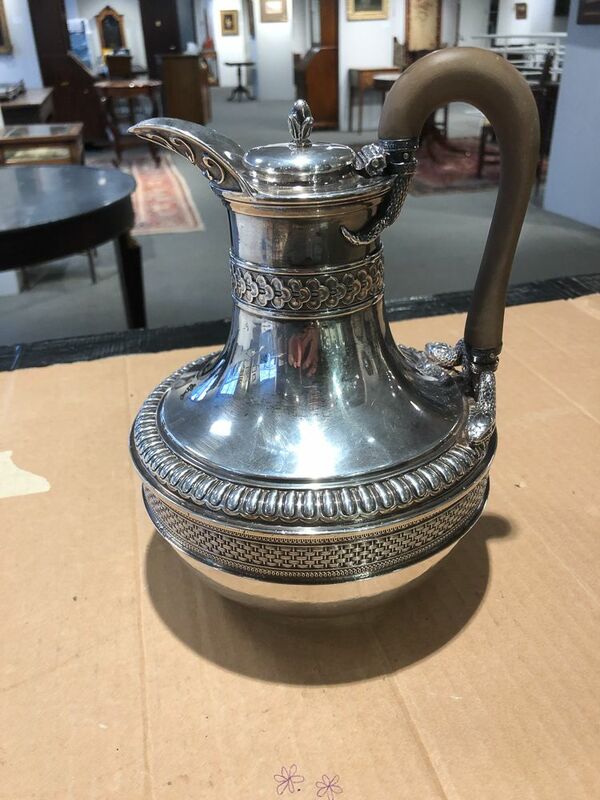 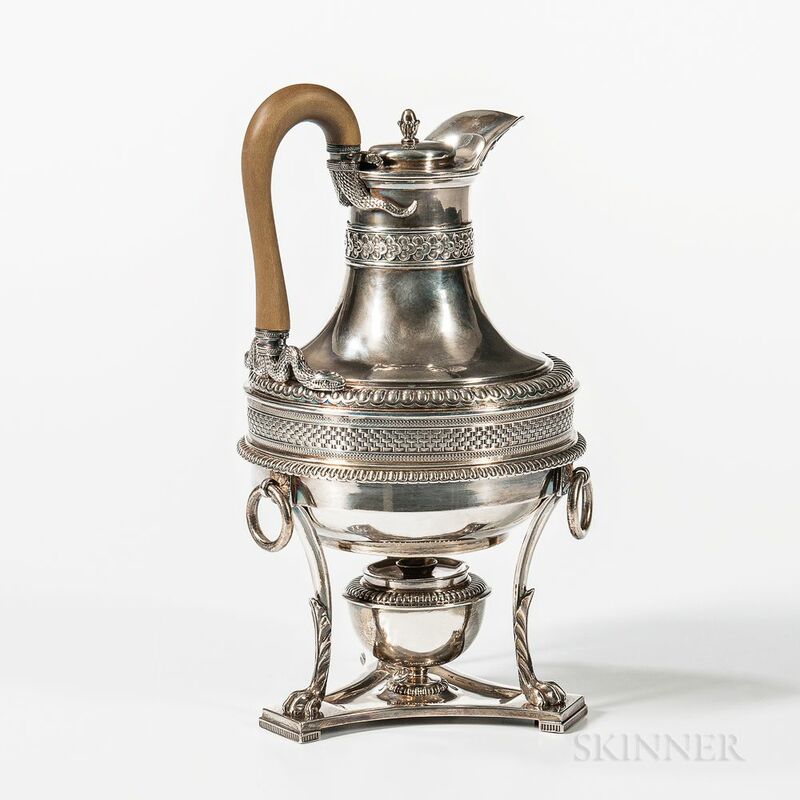 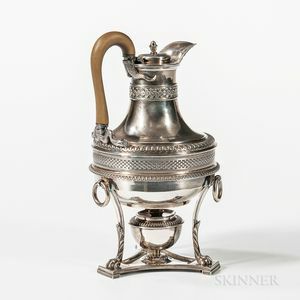 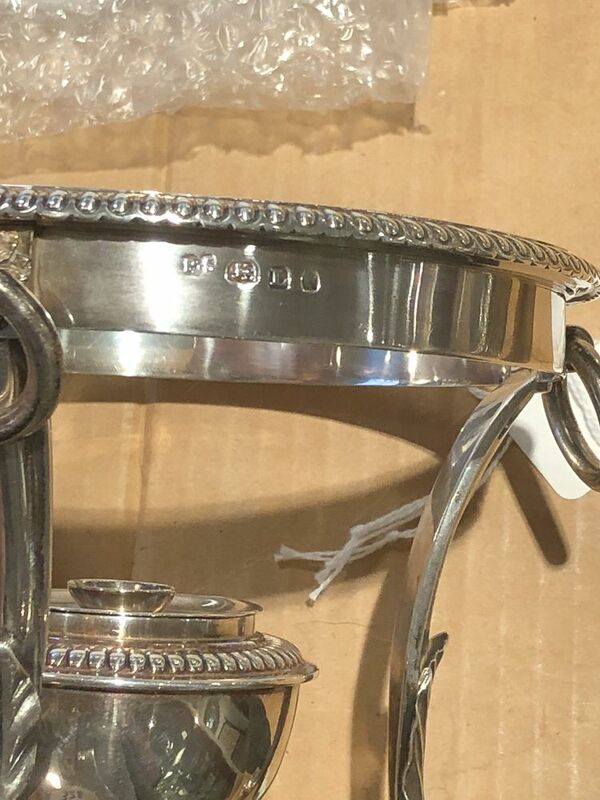 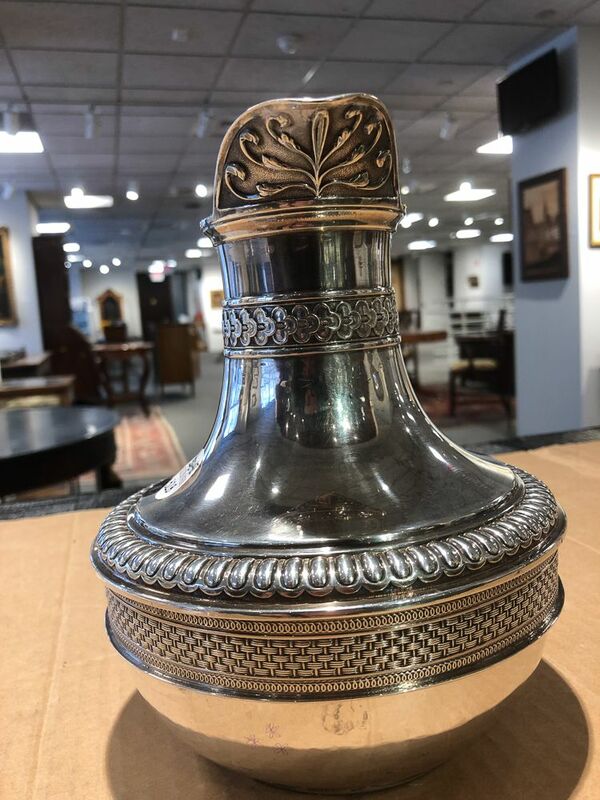 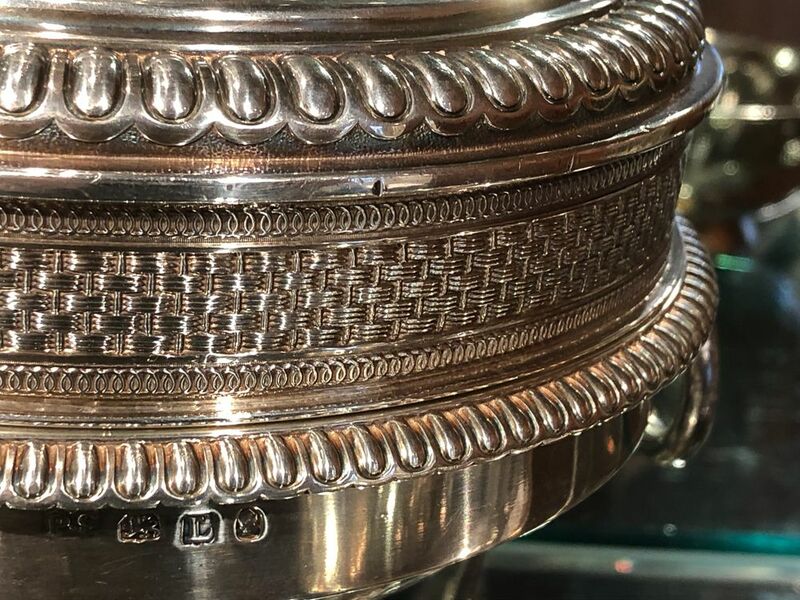 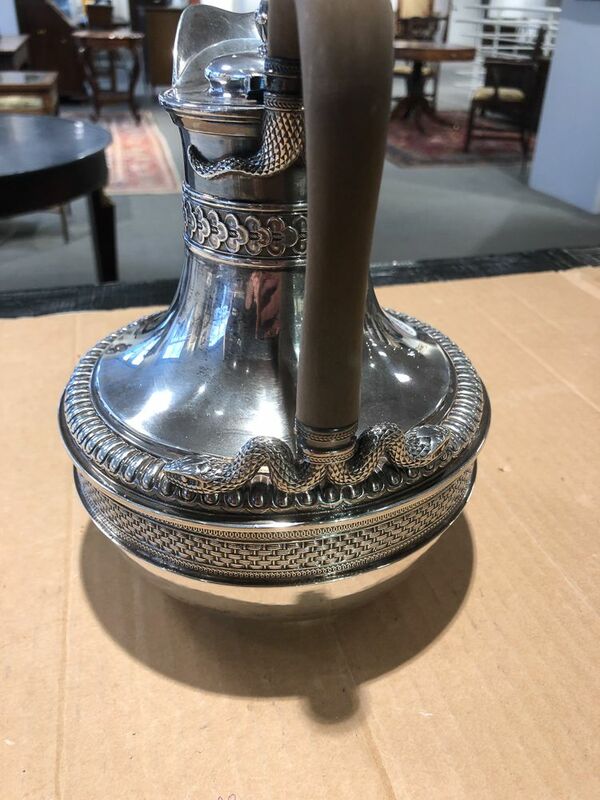 George III Sterling Silver Hot Water Jug, London, 1806-07, Paul Storr, maker, with gadrooned banding to waist and cast snake accents to handle joints, on a stand with burner raised on three paw feet, total ht. 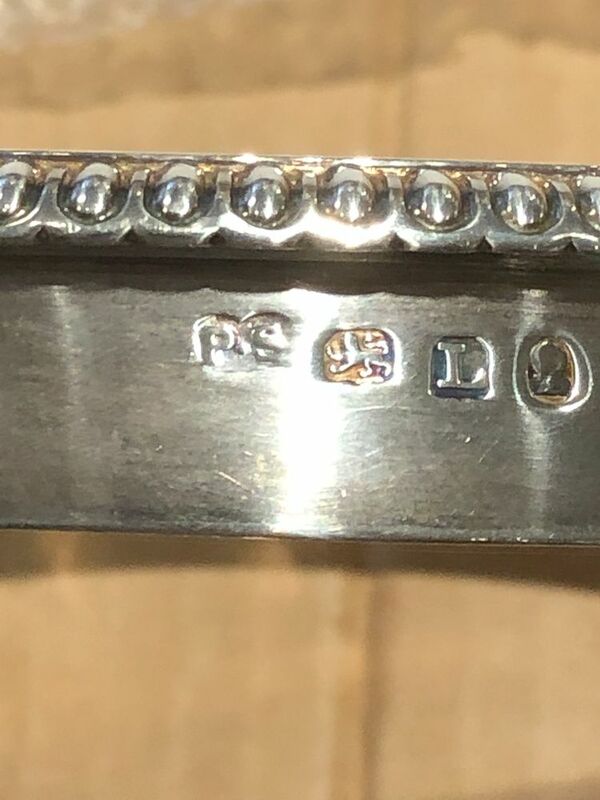 11 1/8 in., approx. 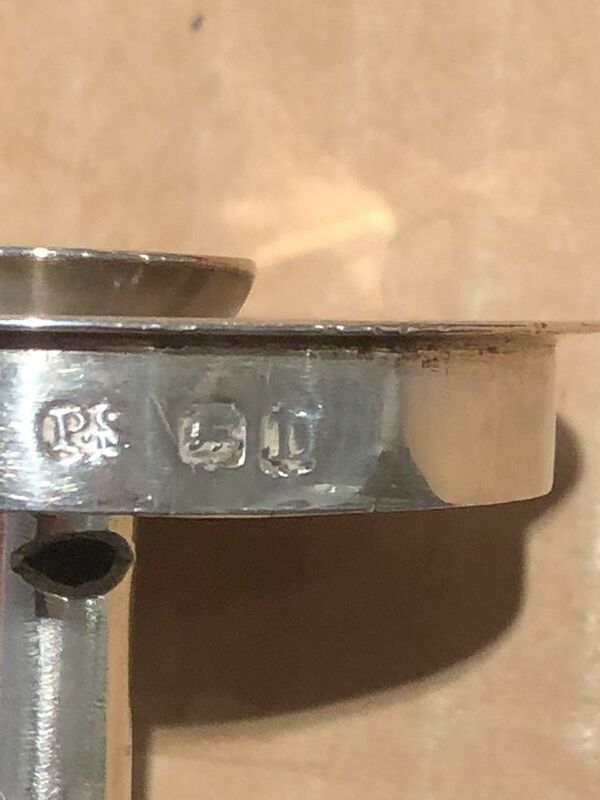 55.5 troy oz. 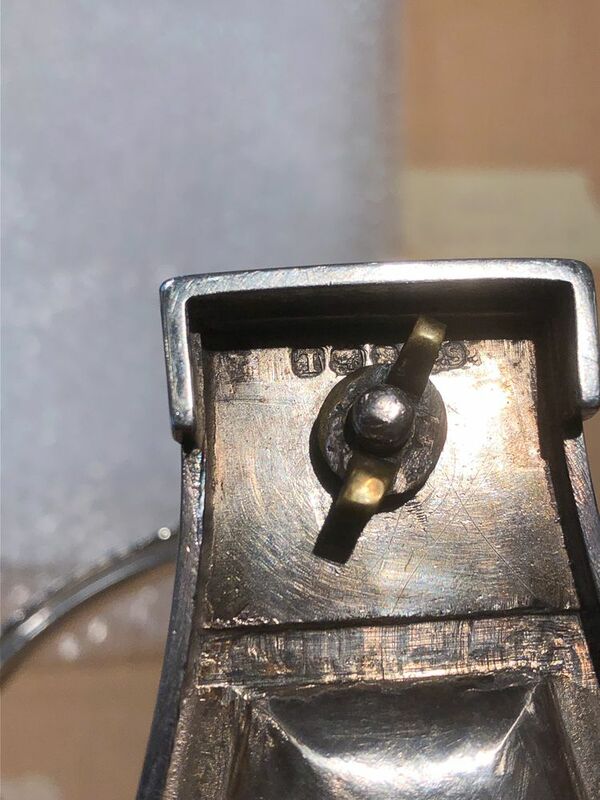 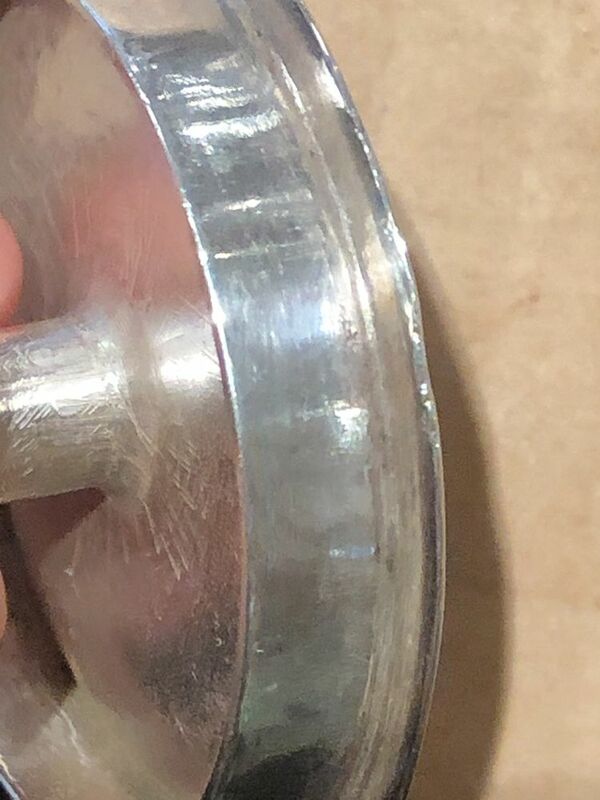 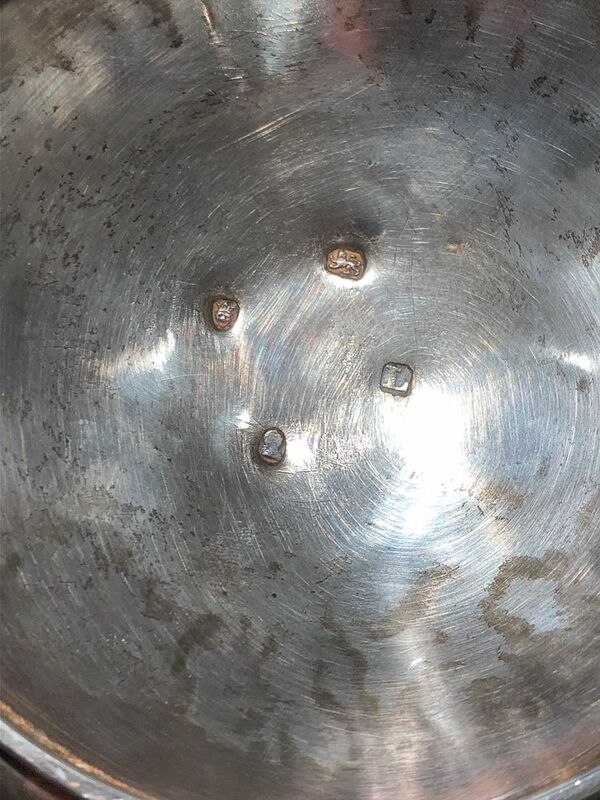 Several small nicks to outer edge of stand, burner lid with a minor dent to rim, light surface wear abrasions throughout.